Aware of the continued dominance of Egypt in Africa, Team Nigeria captain, Azeez Solanke has said that they would not be scared of taming the North African in the junior boys’ team final at the ITTF African Junior and Cadet Championships in Accra, Ghana. 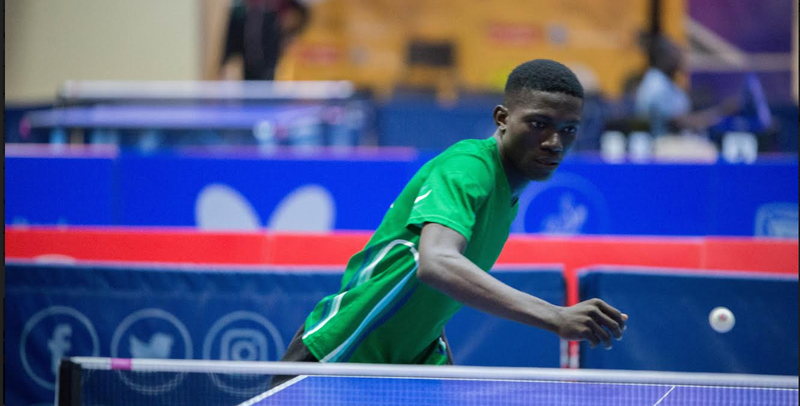 Also yesterday, Egypt joined Nigeria as the second-best team from Africa to qualify in the boys’ event for the 2019 ITTF World Junior Championship in Thailand. Solanke who has remained unbeaten in the competition told NationSport that he is poised to lift his team against the rampaging Egyptians. “I am sure the Egyptians have been watching our game and they are also afraid of us. The fact that we have not been playing in the competition for the last two years has given them hope that they can ride over every team. But I must tell you that they are going to meet their waterloo in the final as we are ready for them. We have gone far to lose the final to Egypt and we want to leave Ghana with the giant trophy this weekend,” Solanke said.